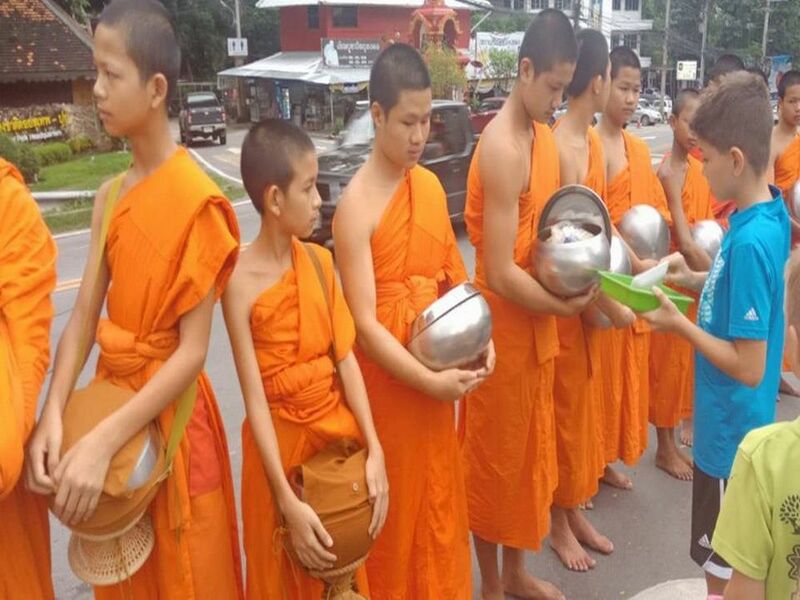 Follow the guidance of the local to give your offering to the monks in the early morning. Most of common gifts are included rice, fresh fruit and traditional dessert in the alms bowl. And visit the most important temple hopping in Chiang Mai. Present your food offering to the monks. Visit the hidden temple at Pha Lad temple. Visit Umong temple which is called the tunnel temple. Go to the old city and Visit Chiang Man temple, the first temple in Chiang Mai. Visit Chedi Luang temple. The biggest Architecture in the past that the top collapsed by Earthquake. Drop you off at your Hotel. This is an individual day tour. If you would like to know Chiang Mai cultures and architectures of history and see obviously local life. - Shoes that's easy to slip on and off. The experience is unique to be able to climb a waterfall. Nathlita was very punctual on the pick up and the car was very comfortable and clean. It was a great experience to do a solo tour. However, I wouldn't recommend the tea workshop on the farm for 2 reasons: I really appreciate the guy's effort to communicate in a foreign language, but he's still not ready for that. Communication was really painful, despite the incredible friendliness. Apart from that, it wasn't planned good enough when it comes to time distribution, so we had just a few minutes at White Temple, which was the main reason for this tour. We as tourists invest a lot of effort, time (22 hour flight! ), money and expectation when we visit somewhere we don't know (so we are unable to measure how long to stay in each place), so the tour guide must have a great time management to make sure everything in the plan goes smoothly, which didn't happen. Maybe next time (since I was the first one to do the full tour), the itinerary can be followed without surprises. We really enjoyed our trip with Nathlita, who was friendly and helpful throughout. Both visiting the elephants and climbing the sticky waterfall was a lot of fun and I'd recommend taking the trip yourself.